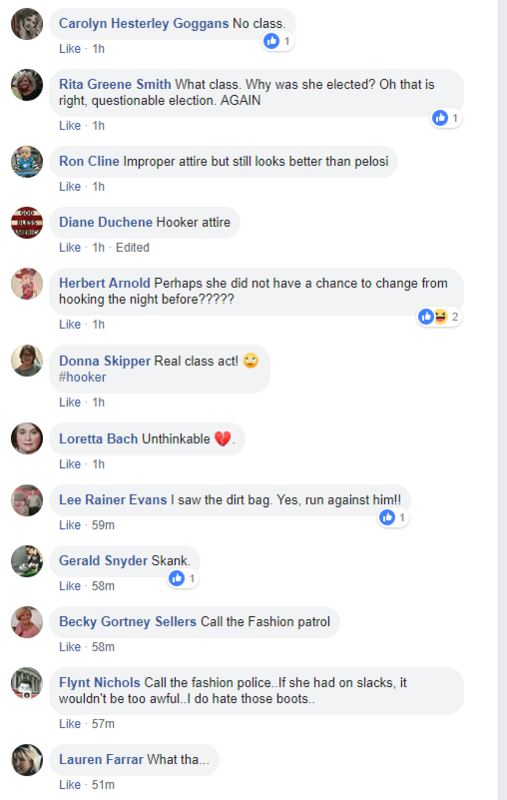 Update: Jim Zeigler has edited his original post to remove “improperly attired”. 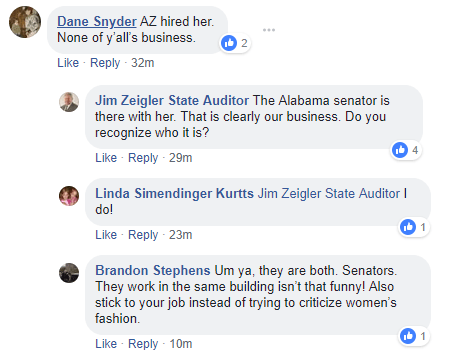 Recently reelected Alabama State Auditor Jim Zeigler and potential future candidate for United States Senator took to Facebook to attack the recently elected Senator of Arizona, Kyrsten Sinema, for her choice of wardrobe calling it “improperly attired”. The Senator in question is Doug Jones who Zeigler is considering running against when Jones comes up for reelection in 2020. Facebook comments to the above post are about on par with what you would expect. He continues to reply to others.